Having an organised kitchen gives you a piece of mind, an effective and efficient way to manoeuvre in the kitchen. Not only is it efficient but it looks good and tidy. I honestly hate going into others people kitchen to cook, which I do on occasions when I am invited to someone’s house. Knowing the foodie/cookie I am, I’m normally the one that is nominated to cook. But if your kitchen is cluttery, messy and disorganise It makes me confuse and no longer hungry. If you’re not about that life then, frankly speaking, you won’t be affected. Given that many homes don’t necessity have a huge or efficient kitchen at the time of sale. 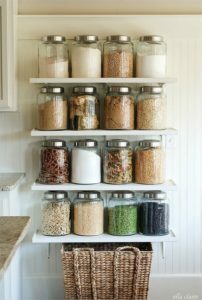 Homeowners tend to make a budget to redecorate their kitchen for a beautiful field and bigger storage. This is definitely costly so why not implement these less-costly ideas that are easy and trendy at the same time. Now I have compiled some helpful organising ideas that are clever unique and also beautiful for your decor. 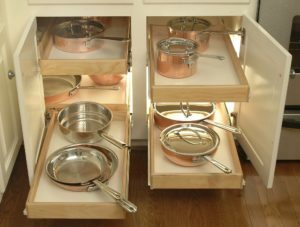 These ideas allow you to store things in clever, smart ways and organise pots, pans, cupboards, counter tops and pantries. Arrange your kitchenware by frequency of use. 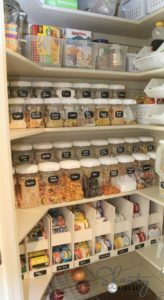 Place lids and containers together for easy identification and retrieval. 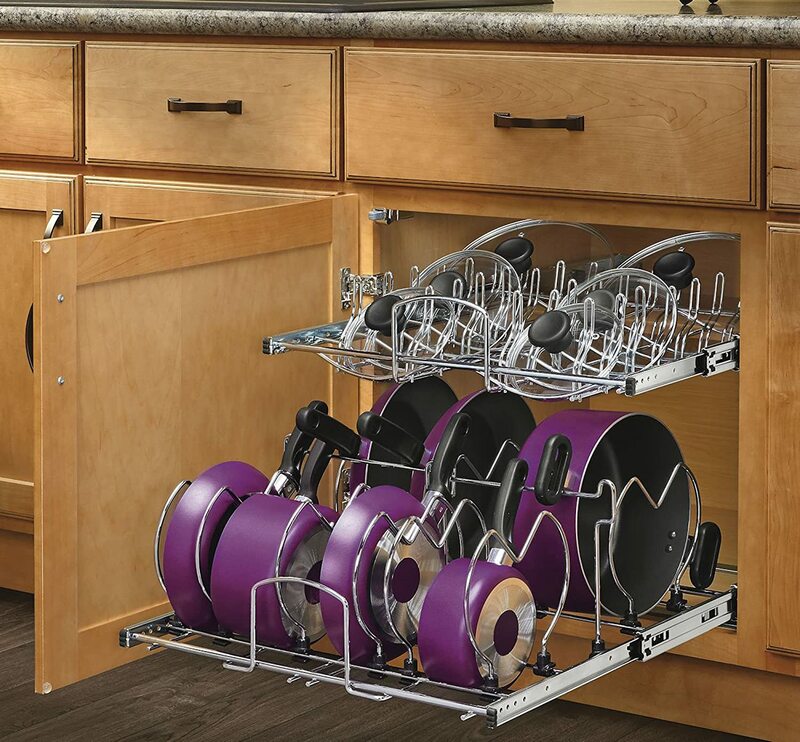 Install lazy susan for convenience and efficiency. Place items vertically rather than horizontally. 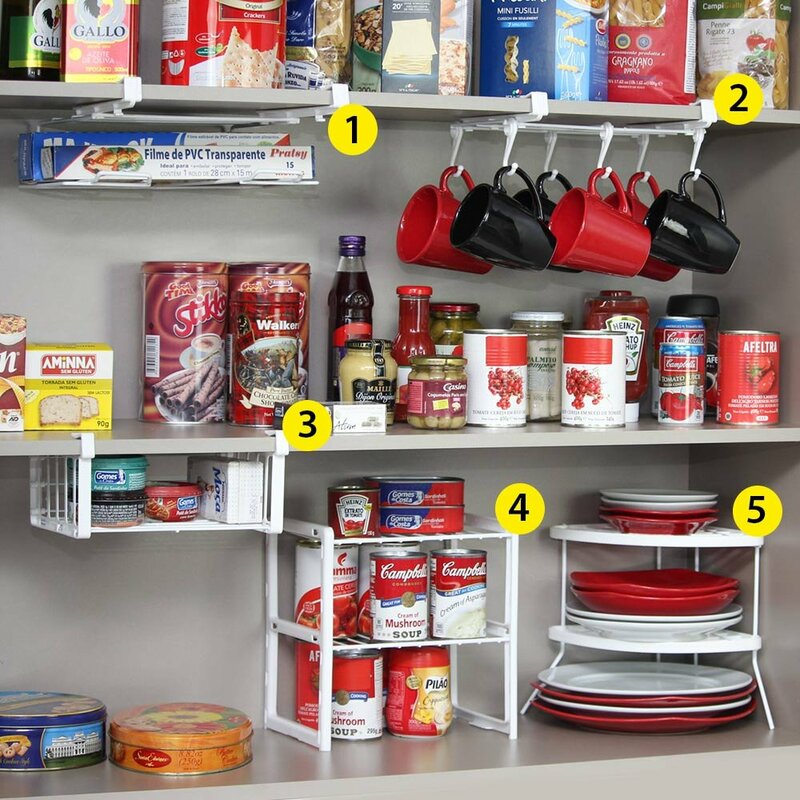 Group objects by purpose and assign them to specific cabinets. 1. I hate cupboards with doors. This is just sleek, organised, open and accessible. All the items are stored in the apporiate container and in groups. 2. This Rack is so neat and efficient; I actually have this same rack for ground provisions at my family house. 3. 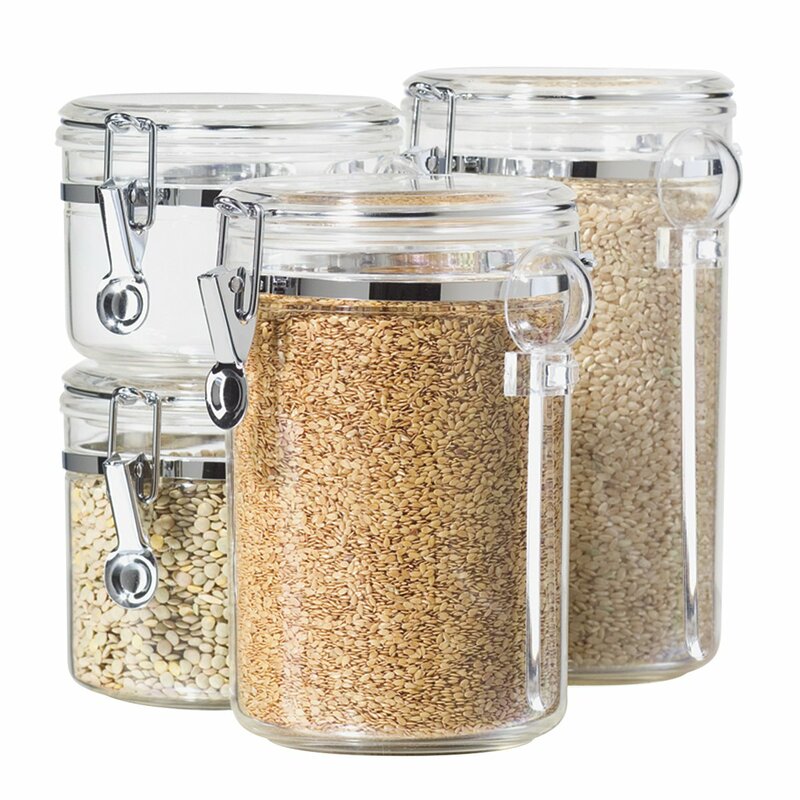 By using these see-through canister jars, you will be able to store grocery items away such as sugar, salt, pasta, snacks, etc. 5. 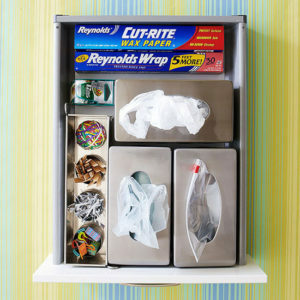 Want a great way to store your kitchen items such as your zip-lock bag, foil, recycled bags, etc. Well, this is the perfect ideas to stock them neatly. 6. 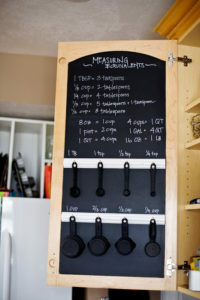 How amazing it is to have all the measurements and baking tools in one spot. How annoying it is to have to figure tablespoon, cups, litres etc. 7. 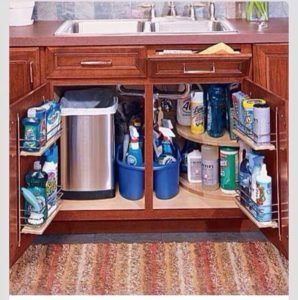 What to do with the clutter underneath the sink? 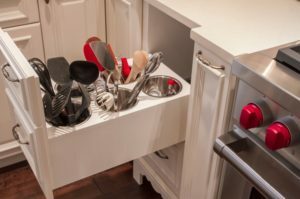 Well, this storage hack put all your cleaning and kitchen supplies in one place. Easy to access and out-of-the-way from children. 8. 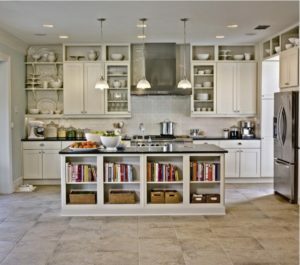 Great way to expand your kitchen for and open space. This beautiful design is well organised with each item detailed and hidden in a clever way. 9. 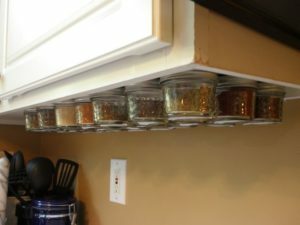 This is another way to store your spices, most homes may not have a pantry and may have to depend on draws and cupboards only. 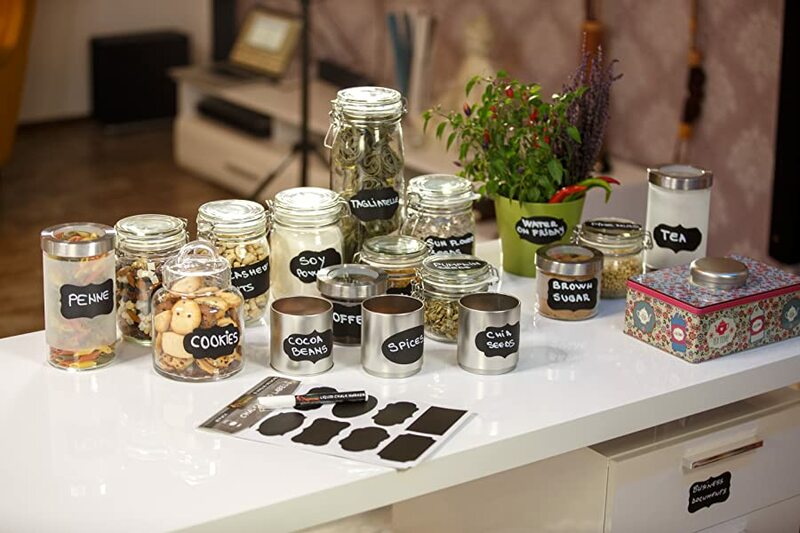 By utilising the extra draw space, you can organise and store all your cooking choices in one area. 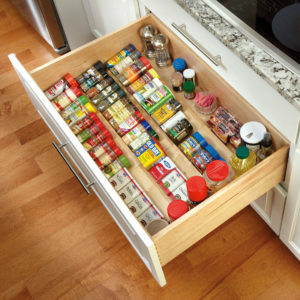 Wood Spice Drawer Insert. 11. 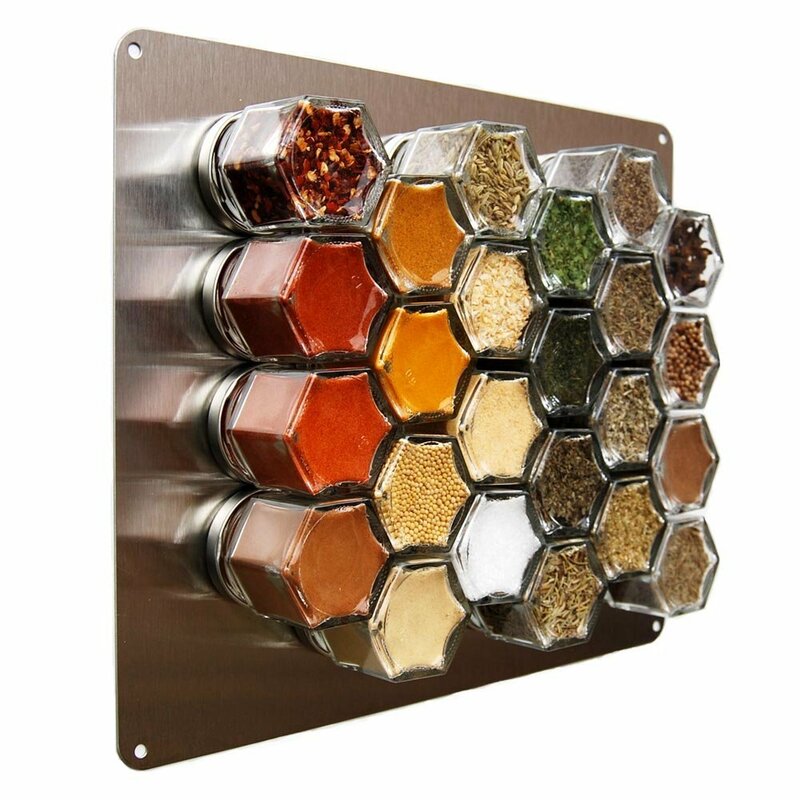 This is perfect for your kitchen tools and utensils right in your cupboard. 12. 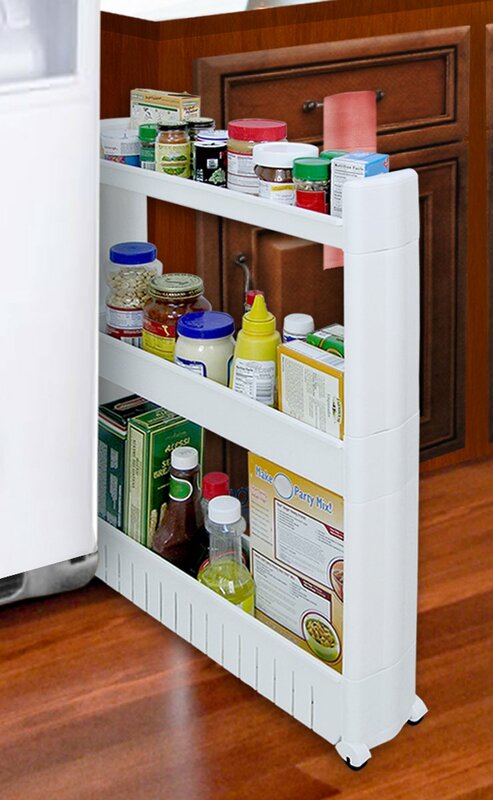 Pull out base kitchen storage cabinet. 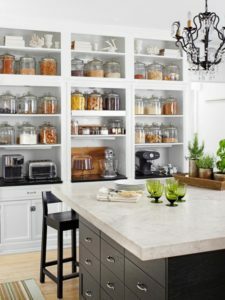 Let me know your fantastic ideas that you have come up with for kitchen storage.